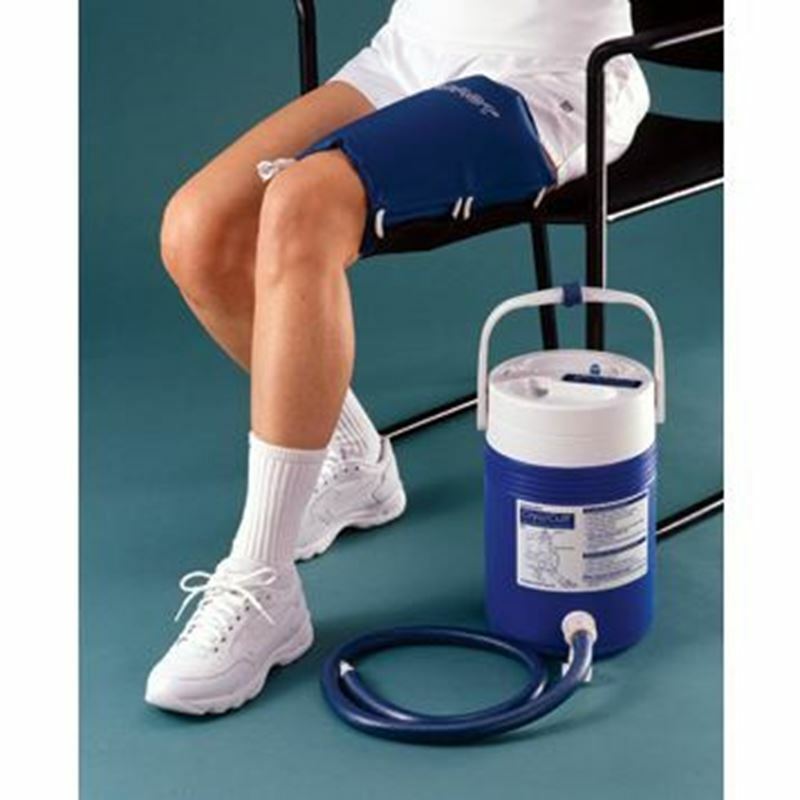 Buy this unit to recover from thigh strains and pains. You can detach this cuff from the IC cooler and still get the full benefit of your recovery. Ideal use for epicondylitis (tennis elbow), post-op, and throwing injuries. Patients can enjoy 6-8 hours of motorized cold therapy with just a little initial fill of ice and water. A Complete unit that contains the Polar Care Cooler plus Ankle Pad! IntelliFlo Knee Compression Pad provides consistent cold therapy specific to each area.